Democratic presidential nominee Hillary Clinton arrived Friday at Boeing Field in Seattle. Clinton’s schedule is much slower than nominees in the 2008 and 2012 elections, according to a Globe review. 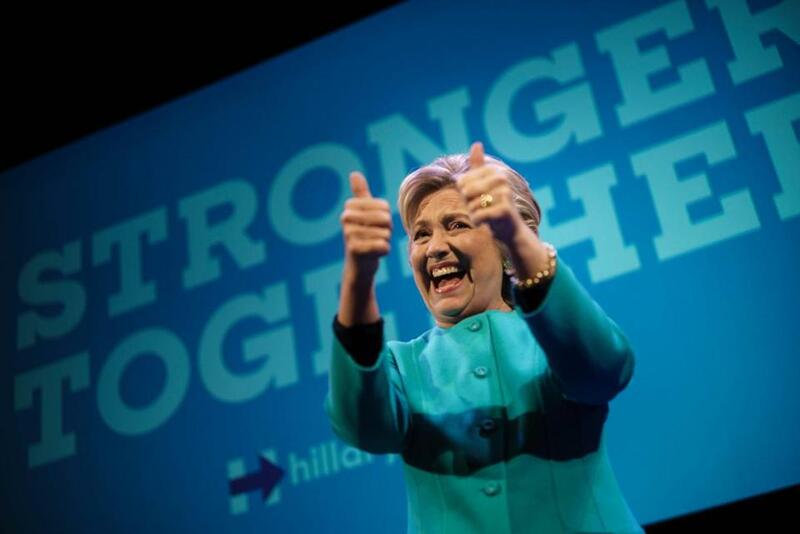 Hillary Clinton has held significantly fewer campaign events than Donald Trump over the last 2½ months and far fewer than the nominees in the previous two presidential elections, according to a Globe review of the candidates’ travels. Clinton held 52 events compared with Trump’s 88 between Aug. 1 and Oct. 10, the review showed. President Obama held 74 events and Mitt Romney 76 during the same period in 2012. And over the same period in 2008, Obama held 108 events and John McCain 100. Clinton’s light public schedule reflects the large number of private fund-raisers she attended, the extensive time she spent on debate preparation, and the three days she spent off the trail recuperating from pneumonia. 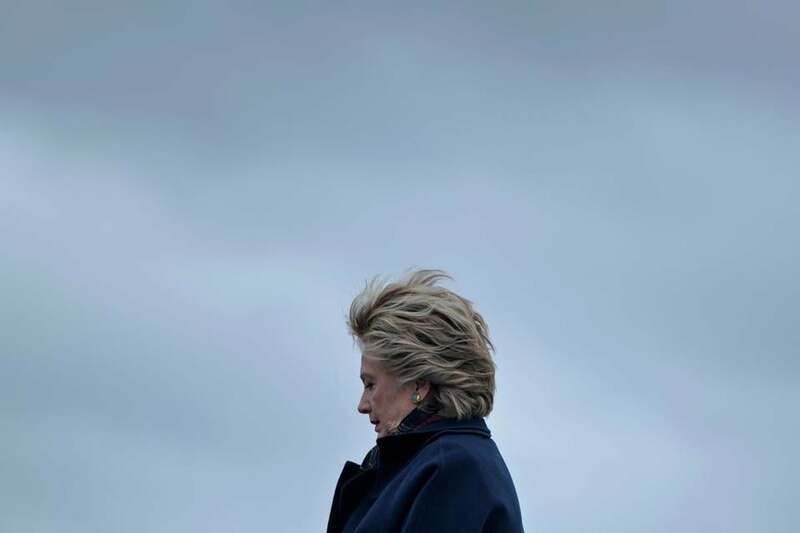 Strategists in both parties said it also reflected Clinton’s risk-averse style and her campaign’s calculation that she benefits by receding from the spotlight and allowing it to shine on Trump’s scandals and incendiary remarks. Clinton, who, like Trump, is deeply unpopular with voters, also risks energizing her opponent’s supporters every time she lands in a battleground state for a rally. As such, her campaign has leaned heavily on a roster of more popular Democrats — including President Obama, Michelle Obama, and former president Bill Clinton — to campaign on her behalf. Which candidate is winning the presidential road race? Both Hillary Clinton and Donald Trump have logged enough miles on the campaign to get to the moon. “It says they’re cautious; it says they’re confident in where they are. And they want to execute a strategy that limits her mistakes,” said David Kochel, a Republican strategist who worked for Jeb Bush in the primary and for Romney in 2008 and 2012. That approach is both a strength and weakness, Kochel said. While limiting public appearances allows Clinton to stay on message, it reinforces the perception that she is guarded and distant, which can, in turn, feed into the criticism that she is secretive and dishonest, he said. Clinton risks energizing her opponent’s supporters every time she lands in a battleground state for a rally. Jesse Ferguson, a Clinton spokesman, defended the candidate’s approach. “Hillary Clinton continues to fight for every vote and campaigned hard throughout the month even as she also took time to prepare for the debate,” he said. 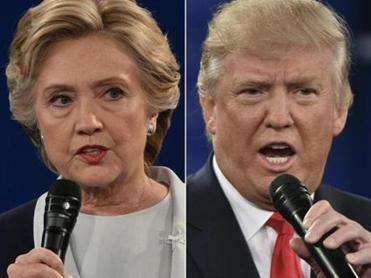 Bob Shrum, who was a senior adviser to the presidential campaigns of Al Gore and John Kerry, said debate preparation was a wise investment of Clinton’s time. Shrum also said Clinton’s focus on fund-raising has allowed her to compete in conservative states such as Georgia and North Carolina. In 2004, he said, Kerry was forced to write off several swing states, such as Colorado, because he faced a financial disadvantage against George W. Bush after agreeing to accept federal campaign funds. Trump’s campaign, which has argued that Clinton lacks the physical fortitude needed to lead the country, said Trump’s many rallies are a testament to his strength. “Mr. Trump has unbelievable stamina and, more than anything else, understands the importance of being with the American people to share his vision to make our country great again,” said Hope Hicks, a Trump spokeswoman. Trump also relies on large rallies because Clinton has been able to dominate him on the airwaves, outspending him $145 million to $32 million as of Oct. 4, according to Bloomberg. And unlike Clinton, Trump does not have a vast field operation or a long list of popular, high-profile supporters willing to campaign for him. As such, he uses his most readily available weapon: his own ability to stand on a stage, fire up his supporters, and generate media attention. 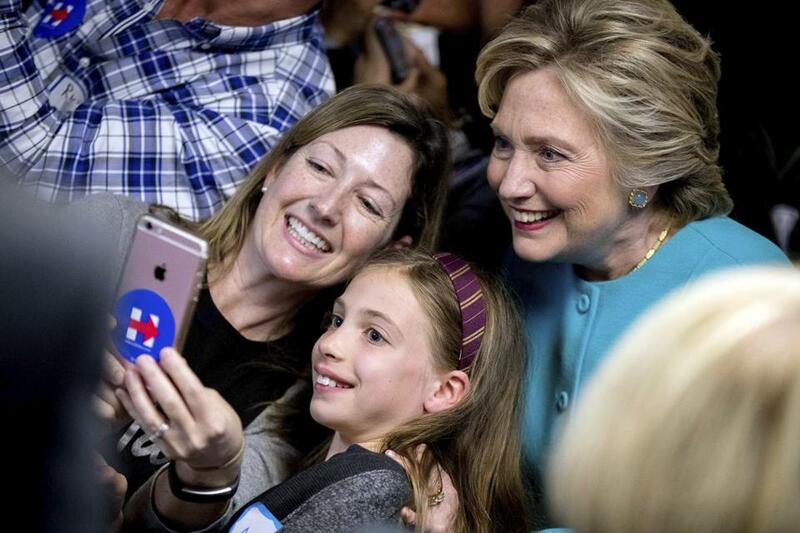 Clinton took a photograph with supporters at a campaign office in Seattle. But Kochel pointed out that Trump often uses his rallies to attack his critics and bash the media — rather than drive a coherent message that would help broaden his appeal. A more sophisticated campaign, strategists said, would tailor public events to woo particular groups, such as women or minorities. Daron Shaw, a political scientist at the University of Texas, Austin, said his research suggests public events help candidates mainly by boosting their standing in the local media market. Shaw, who worked on George W. Bush’s presidential campaigns, recalled how Bush’s camp scoffed at Gore and Joe Lieberman when they took a four-day boat trip on the Mississippi River in August 2000. The journey covered a lot of sparsely populated rural areas in western Wisconsin and eastern Iowa, Shaw recalled. But in the election, Gore drove higher-than-expected turnout in those areas and won those states by a few thousand votes, Shaw said. “I’m convinced Gore won those states because of those trips,” he said. At the same time, unpopular candidates can energize their opponents’ supporters when they hold events, Shaw said. “I’m not sure I would be sending Secretary Clinton into highly contentious swing areas because she’s as polarizing as she is mobilizing,” he said. The Globe’s review tallied events ranging from stops at diners and barbecue joints to rallies and debates. It did not include private fund-raisers. The figures are based on schedules compiled by Eric M. Appleman, an independent researcher whose websites — p2008.org, p2012.org, and p2016.org — track the candidates’ travels based on the daily schedules sent out by their campaigns and news reports. In the closing weeks of most presidential races, candidates typically pack their schedules with rallies to moblize voters on Election Day. But because Trump has been swamped by allegations that he sexually assaulted women, some say Clinton might choose to maintain a slower pace and not ramp up as she pushes toward Nov. 8.